Does your oven not work as good as before? 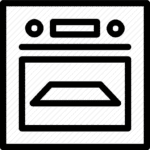 Do you need oven repair in Clovis? Then Clovis Oven Repair is here to help you. We are specialized in repairing all types and brands of ovens for more than 15 years. Moreover, our specialists are experienced and skilled, they can overcome any problem of your oven in a short period of time. Additionally, they are equipped with all the necessary tools. Call us at 559 960 0798 if you need Oven Repair in Clovis, CA. When should you call Clovis Oven Repair? If you encounter any of the following or other problems with your oven, do not hesitate to call us at 559 960 0798 , because we can fix every oven. Clovis Oven Repair in CA provides every replacement part. Furthermore, all replaced parts are in factory conditions and have a 3-year warranty. Both major and minor oven brands are repaired by Clovis Oven Repair no matter the condition or the age of it. Some brands which we repair are in the following list. Do not worry if the brand of your oven is not mentioned, we repair every brand of ovens, just call us and we will definitely fix your oven. What will you get by calling Clovis Oven Repair? Are you interested? Do you need our technical skills? If yes, Clovis Oven Repair is available 24/7 at 559 960 0798 and at our online schedule service, just contact us and we will help you.